Enticing fruity notes tempered with a delicious cinnamon character. Savor those special moments. This Orange Pekoe black tea blend is from Sri Lanka. 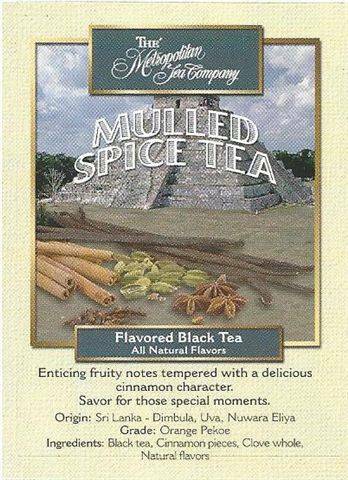 It is flavored with cinnamon pieces, whole cloves, and natural fruit flavors. 98% or more of this tea comes from estates that are part of the Ethical Tea Partnership.